Loop powered signal isolator is composed of pluggable PCB power board and separable isolating circuit module. It is suitable for industrial field with severe signal interference. 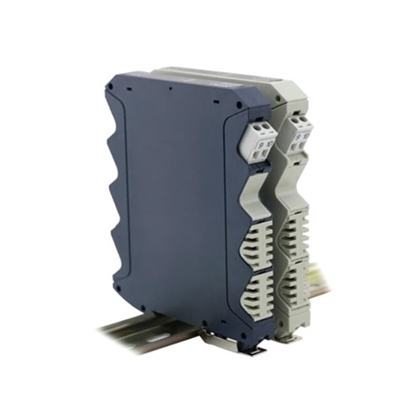 Signal isolator adopts digital calibration, automatic zero calibration, DIN rail installation way and no potentiometer, with strong input/output/power supply isolation, fast response, low-power dissipation, and good anti-interference performance. Analog signal isolator has pluggable terminals, 13mm thickness, input/output isolation, fast response, low-power dissipation, low temperature drift. 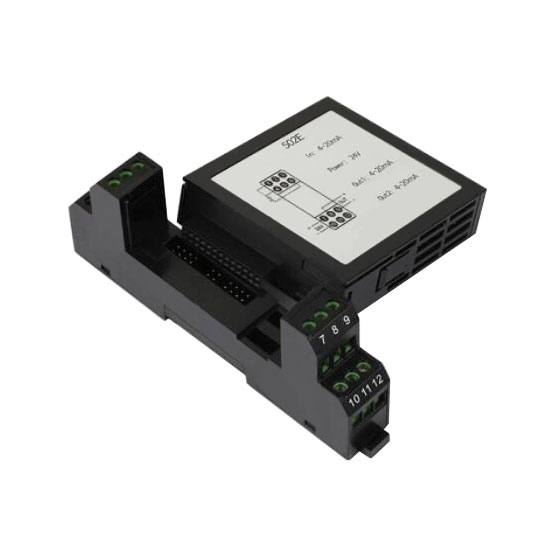 Signal isolator can connect to various types of signal acquisition device and industrial control device, such as PLC, analog acquisition card, VFD, power meter, electricity record meter, DCS, etc. Signal Isolator can support DC current/DC voltage/RTD sensor/thermocouple input signals, such as 4-20mA, 0-20mA, 0-10mA, 0-5V, 0-10V, 1-5V, etc. Signal isolator has pluggable terminals, external USB interface, optional LCD display and RS485 communication. USB interface can be connected with external programming device to set type of input temperature, transmitter range and other parameters. LCD display can show parameters of different channel, actual measured value, theoretical output value, unit and channel number by buttons. Promotion: If you buy ≥5pcs signal isolators (with same parameters) at one time, you will get 5% discount (It's apply to basic parameters. Other parameters with price adjustment may approach 5% discount.). Signal isolator with strong isolation can convert 4-20mA/0-20mA/0-5V/0-10V signal to standard signal or other customized signal. Tips: What is external powered signal isolator and loop powered signal isolator? It need an independent DC 20-35V switching power supply. The signal isolator samples 4-wire current signal and outputs 4-wire current signal after isolation. The advantage of this approach is high accuracy of isolation transmission. Power, input and output are completely isolated. Multi channel system power supply does not need isolation, thus ensuring a high anti-interference performance. The input signal can be converted to other types of signal. In the actual industrial monitoring system, DCS, PLC or other display instruments adopt cards internal power supply, the cards have higher requirement on the signal isolation transmission accuracy, so does the distribution voltage of a 2-wire transmitter. However, the external powered isolator can't meet these conditions. Therefore, the loop powered isolator is selected. Such a signal isolator provides working power supply to the 2-wire transmitter and samples the 2-wire current signal output by the transmitter. 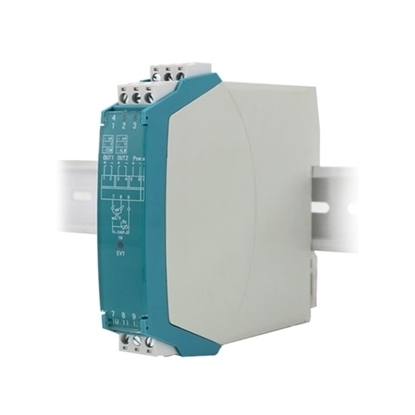 It converts the 2-wire current signal to 4-wire current signal after isolation and then output. In this way, it not only retains the superior performance of the external powered signal isolator, but also meets the requirements of the output loop powered interface. Download ATO signal isolator cataloge (pdf). Signal isolator is specially used to manage all kinds of off-brand VFDs. As long as using the loop powered signal isolator, the VFD is not subject to any interference, and the working state is very stable. Analog signal isolator is good for solving interference problem. The analog signal isolator is easy to use. I don't need to confirm whether to buy a loop powered isolator or external powered isolator, because it has both modes. I can use the switch to select the one I need. After measurement, the isolator accuracy is indeed very high and the stability is good. I'm so glad that the system's interference problem is solved. I hope to cooperate with you for a long time. We use the FLUKE725 process calibrator to calibrate ATO 4-20mA signal isolator. When the calibrator displays a standard output of 12 mA, fine adjusting potentiometer for calibration. After finishing the calibration, the accuracy of full range is better than 0.1%, and the linearity is better than 0.1%. It is great!